Lot 105 Alloy Andrew Barclay Sons & Co Ltd. Oval Diesel Locomotive Worksplate. As carried by a class 06 - D2419. 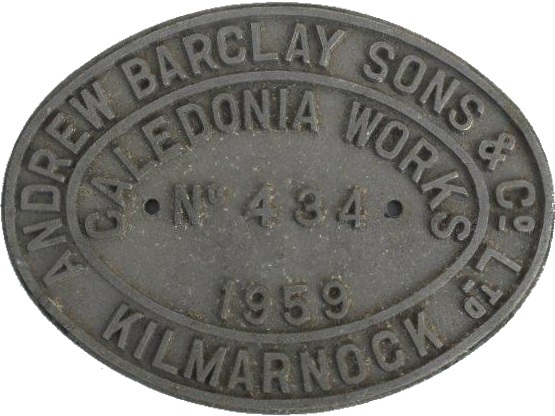 Works No 434 - 1959. As removed condition.